Officials at the Macomb school say 29 faculty members, 89 civil service workers, a dozen academic service personnel, and two administrative employees lost their jobs. 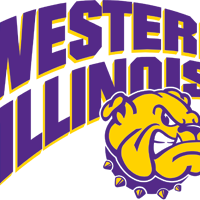 WIU officials blame decreased enrollment for the layoffs, they say the school will provide career counseling and job search assistance to those who lost their jobs. The University Professionals of Illinois chapter at WIU says they plan to fight the layoffs, a rally is planned on Wednesday. Around 2,100 faculty and staff worked at the University in fall 2018.